Jayden Moodie poses for a picture on his moped (left). Friends of the 14-year-old told how teachers at Heathcote School in Chingford took action after spotting extra-curricular activities on his social media feeds. 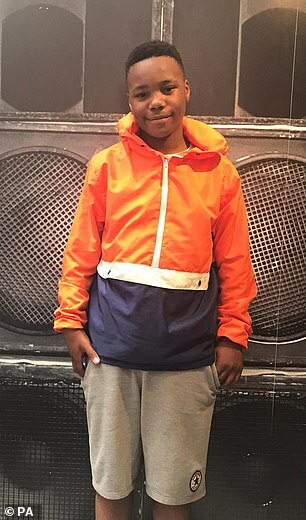 Jayden was later rammed off a moped and then repeatedly stabbed on January 8 in an area of east London that is said to be blighted by so-called county lines gangs that are known to exploit children. 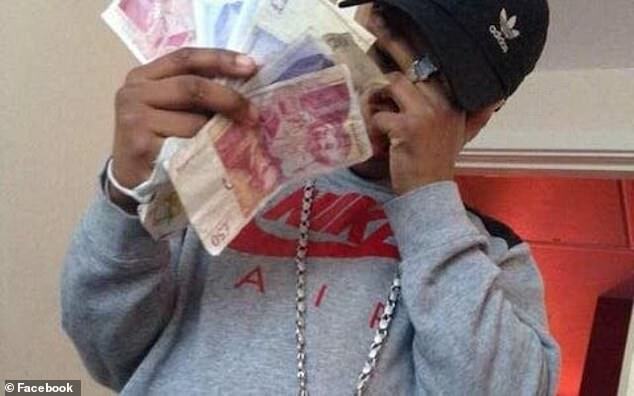 The teenager described himself as a ‘trapper boy’ on social media – street slang for a drug courier – while it was claimed he was a known dealer and regularly carried a knife. 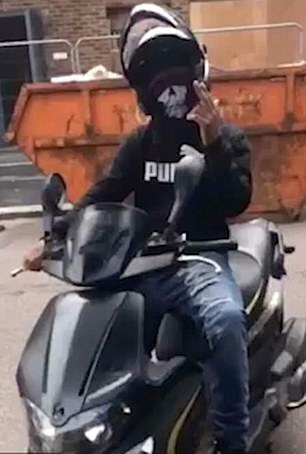 As the images of the murdered youngster emerged yesterday of him astride his moped and holding fistfuls of £50 and £20 notes, his family insisted he had no connection with drug gangs. The school would not comment on the exclusion, but it is understood that he was offered sessions with a pupil referral unit. 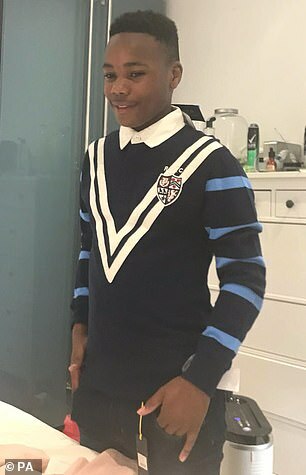 Paying tribute to the ‘loving, caring’ boy yesterday, his mother Jada Bailey said her grief was intensified by reports linking his death to violent turf wars. Police continue to investigate why Jayden was singled out in a targeted attack. He had only moved to the capital last year for a new start away from his former home in Nottingham. 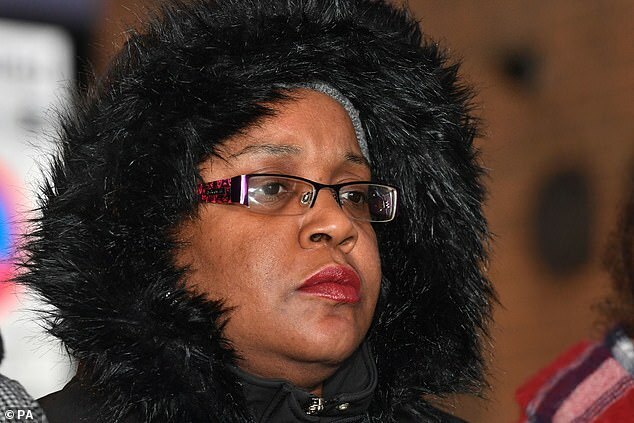 Mrs Bailey, 44, clung to the arm of her nephew Leon Green as he insisted the teenager had ‘absolutely no affiliation with gangs’ – and warned no child was safe from Britain’s knife epidemic. In a statement to reporters on Thursday 10 January, Jayden’s cousin, Leon Green, said he had a keen interest in bikes, loved sports and was due to start at a boxing academy this month. 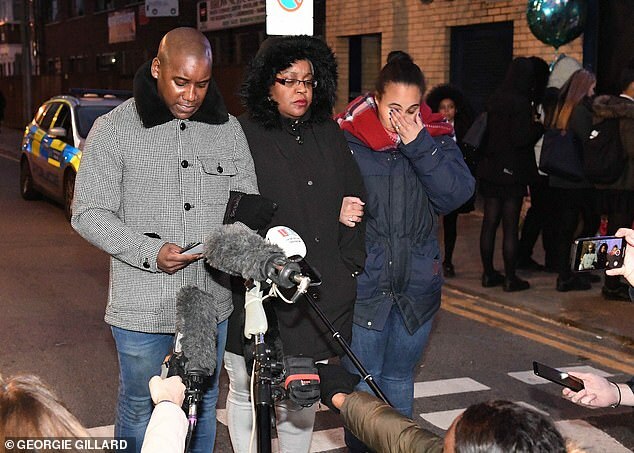 As he stood next to Jayden’s crying mother, he complemented Jayden’s character and said his life had been ‘viciously taken away’. ‘He had a huge heart and would do anything for everyone, especially his family. He will be sincerely missed. 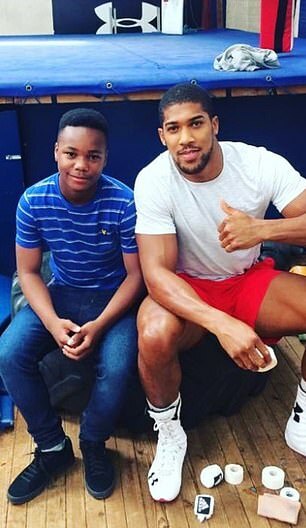 The aspiring boxer had met his hero, Britain’s world heavyweight champion Anthony Joshua, and hoped to emulate his success. Police, who believe the attack was ‘targeted and intent on lethal force from the outset’, have found the car thought to have been used by the three men who carried out the attack. Police want to establish how the 14-year-old came to be riding a moped illegally, and have said they are keeping an open mind about why Jayden was attacked. Witnesses described seeing three men armed with long kitchen knives surround the unconscious boy as he lay on the road and ‘butcher him in silence’. The Mercedes B Class was found dumped half a mile away near territory controlled by the so-called Oliver Close (OC) gang. Jayden lived close to an area run by the OC’s rivals, the Beaumont Crew. 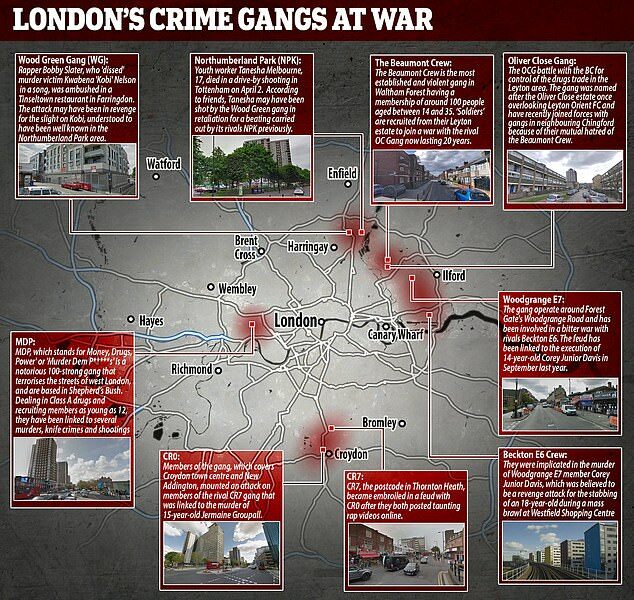 The gangs are known to exploit children, recruiting them with promises of drug-dealing cash and then threatening them with violence if they do not comply. A girl of 14 has been slashed across the face with a knife outside a coroner’s court. 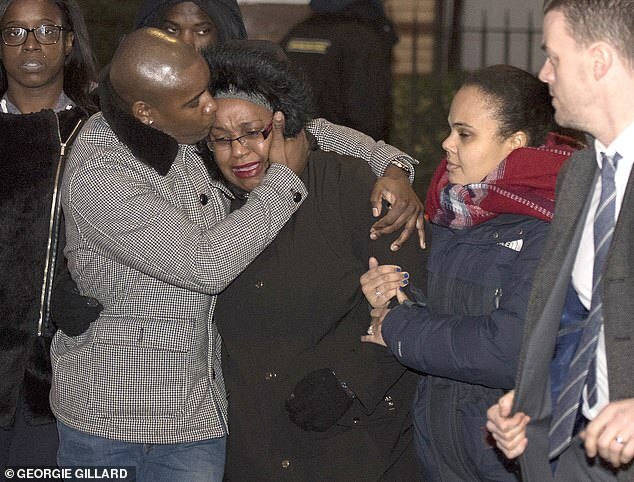 The victim, who Scotland Yard said knew her attackers, last night remained in hospital with life-changing injuries. Three teenage girls – two aged 15 and one aged 16 – have been charged with grievous bodily harm. 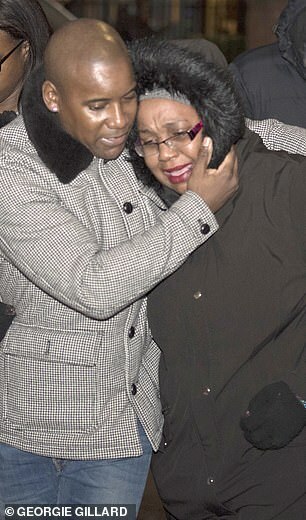 The knife attack took place in the car park of Barnet Coroner’s Court in north London on Tuesday evening. Two suspects were arrested at two addresses in Haringey, north London, later that night and appeared at Willesden Magistrates’ Court yesterday. One of the 15-year-olds was also charged with possessing a knife. The trio have been remanded in custody to appear at Uxbridge Crown Court on February 7. 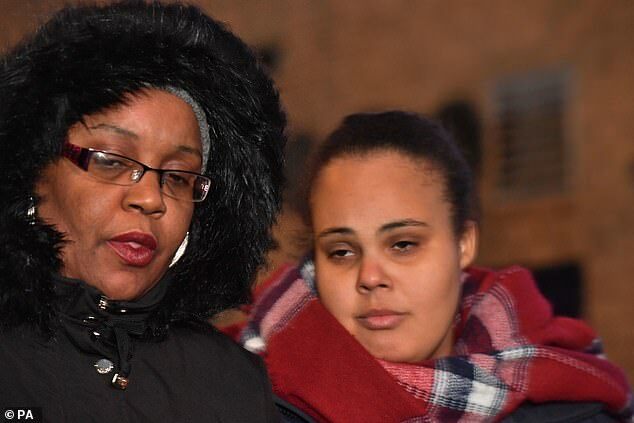 Family friend Levi Clayton, 27, told The Times: ‘He may have done a bit of petty crime and he got in with the wrong crowd when he moved to London. He was very quiet around his family but more confident and outspoken with his friends. He wanted to be the leader.’ In Leyton, a local man identified only as ‘Zeeks’ said Jayden was known to sell drugs and carry a knife. It may have been the posturing of a teenager desperate to impress his friends, but Jayden certainly appeared to emulate gangland culture on social media, styling himself ‘Little Driller’ on Instagram – ‘drilling’ translates as killing in urban street slang. Chief Superintendent Richard Tucker has said he could not sleep for thinking about what had happened to such a young boy. Youth worker Marcellus Baz, who is behind a Nottingham-based youth project called Switch Up, said Jayden and his mother had recently moved to London for a ‘new start’. Mr Baz, who said he met the youngster on a street known as a ‘hotspot for antisocial behaviour and knife crime’, told the BBC he ‘seemed like a really respectable, polite young man that had his life mapped out’. ‘He wanted to go down the construction, painting and decorating route,’ he said. The teenager was knocked off the moped he was riding by a black Mercedes B Class at around 6.30pm on Tuesday in Bickley Road, Leyton, and then stabbed several times by three attackers as he lay unconscious in the road. The car was found on Wednesday in the nearby Carlisle Road area of Leyton, a few hundred metres away, and detectives are treating the discover as a ‘significant development’. Mr Tucker said it was too early to ascertain a motive or say whether an incident a few streets away from the crime scene on Wednesday when a man was slashed across the face was linked. He said: ‘The overriding factor is he’s 14 years old. A lot of people are saying ‘young man’ – he’s not. He’s a boy. He’s 14. ‘It’s shocking, it’s an appalling event and this will have affected huge numbers of our young people and we’ve got additional officers in the area, and at schools, to actually reassure people that they are safe in east London. Reality TV star Stephen Bear, who lived locally before moving to Essex, also told of his shock at the senseless murder. The Celebrity Big Brother winner, 28, said: ‘I am gutted. It is scary and makes you evaluate life. I moan about the most stupid things. ‘When it comes down to it you haven’t got long on this earth and I am just walking past [the murder scene] and it really makes you think about everything. A section 60 order was put in place to allow officers to search anyone in the vicinity of the scene for weapons. ‘He was a beautiful boy, so intelligent, had everything to live for. He went to London and then this happens, it’s just so unfair. He was very dearly loved by everybody. The borough where Jayden died, Waltham Forest, has been blighted by gang crime, with the local authority ploughing £3million over the next four years into a prevention programme. Police patrols were stepped up in the wake of the murder.